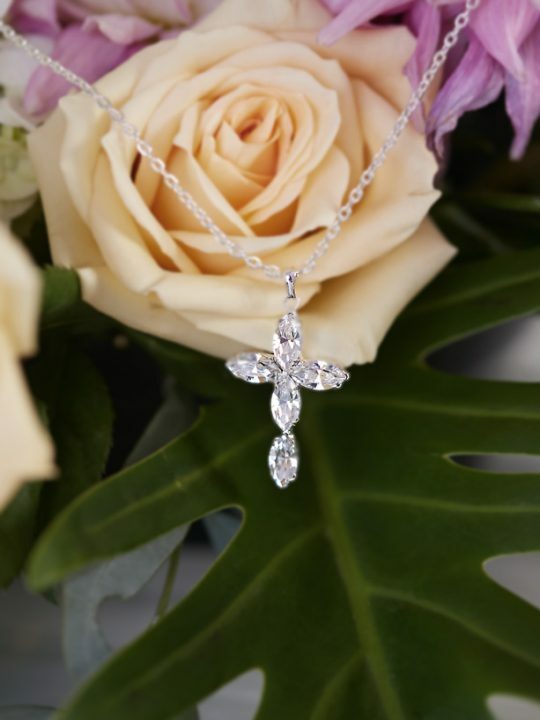 The classic bride will find her glam with this Sydney Bridal Necklace. This is a timeless piece that will complete your bridal look and slide easily in to your jewellery box for those other special occasions. That strapless dress needs a little something, doesn’t it? Something with all the class of Audrey Hepburn but with the sass of Katy Perry? Well, the Sydney Bridal Necklace is all those things. 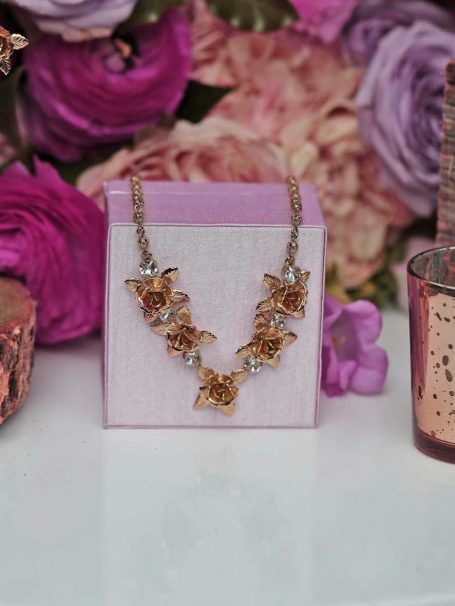 This is a vintage styled piece with rose and leaf detail on an adjustable chain. The five rose settings form to a point in the center to draw the eye to your beautiful face. Wear this timeless piece lovingly for years to come. Size: Roses are 15mm long and are featured 110mm across. The length of the necklace is 50mm including 60mm of adjustable chain. This necklace is packaged in our signature pink silk Hello Lovers box. Consider combining this necklace with the cute Sydney Wedding Earrings or the complimentary Sydney Hair Comb for a real floral accessory look. Unique range of wedding jewellery made in Australia by Hello Lovers. Also a fantastic range of lace wedding dresses available. In the popular vintage bridal gown style. All featuring delicate bridal laces and fabulous fit.